Customs and Border Patrol officers pose next to roughly 650 pounds of seized fentanyl and methamphetamine in Jan. 2019. “This is like declaring ecstasy as a WMD,” said one member of the DoD’s counter-WMD community, who would only speak on condition of anonymity, mentioning another illegal drug that could lead to overdose death. 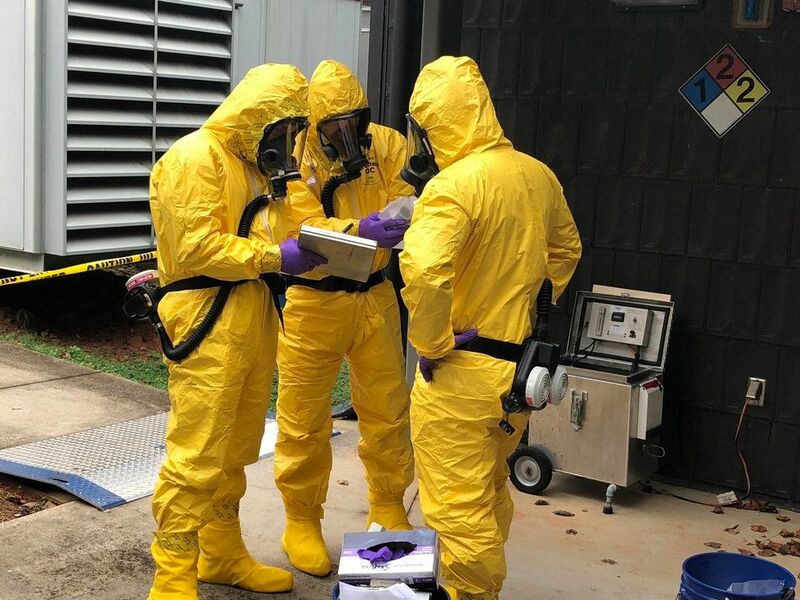 Dan Kaszeta, a chemical, biological, radiological, and nuclear defense expert, told Task & Purpose the threat of fentanyl being used as a weapon is a “fringe scenario” since there are “literally dozens” of available toxic chemicals that could easily be weaponized. Indeed, the budget for countering weapons of mass destruction has declined, apparently due to Trump’s homeland security priorities, which mainly emphasize border security and enforcement. 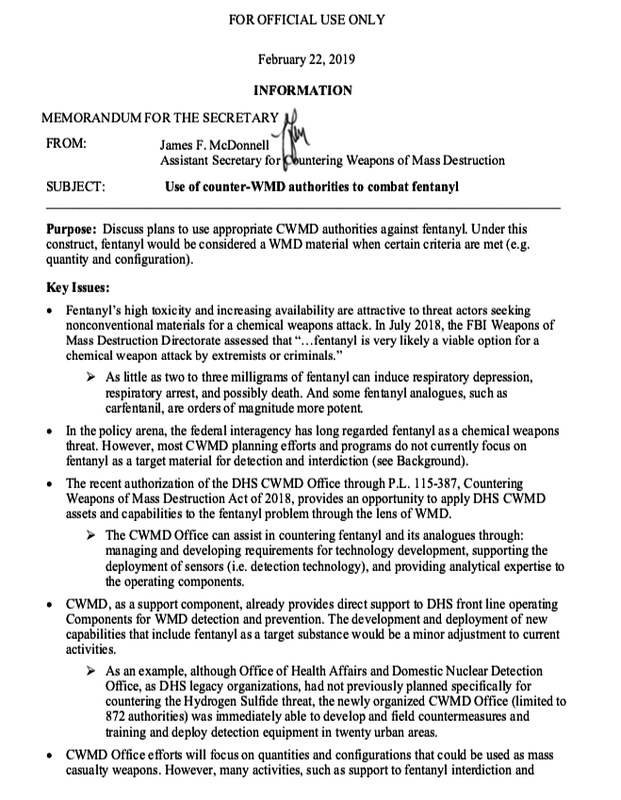 Less than a year after the Countering Weapons of Mass Destruction Office was established, McDonnell’s memo seemed to suggest that increasing counter-fentanyl efforts could get WMD-focused homeland security personnel alongside other personnel trying to stop drug smugglers. “Within the past couple years, there has been a reinvigorated interest in addressing fentanyl and its analogues as WMD materials due to the ongoing opioid crisis,” McDonnell added, telling Nielsen that his office could assist in counter-fentanyl efforts by managing and developing new technologies, deploying sensors, and assisting others in the field. As part of the memo’s proposed next steps, McDonnell said his office would further brief DHS on counter-WMD efforts related to fentanyl and host an interagency planning event on the topic. “I cannot see any scenario where a nation-state would use fentanyl on the battlefield, or for that matter, a terrorist using a really toxic chemical like fentanyl in an attack when they could just sell it for funding the purchase of firearms and explosives or steal an industrial chemical instead,” the official said.